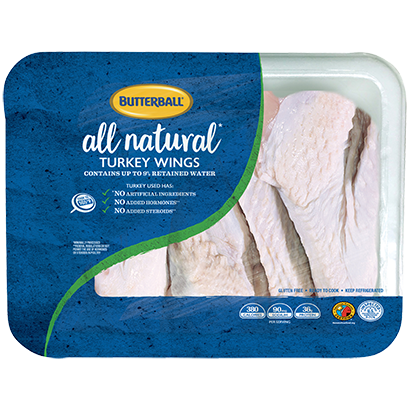 Butterball All Natural turkey necks are great ingredient addition to numerous favorite recipes. 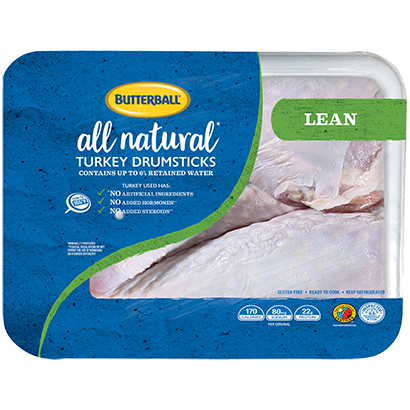 Butterball's All Natural Turkey Necks have no artificial ingredients, no added hormones and no added steroids. Boil in water for 50–60 minutes, until meat starts coming off the bone. Cook until thickest part of meat is well done, reaching 165ºF as measured with a meat thermometer. Safe Handling Instructions: This product was prepared from inspected and passed meat and/or poultry. Some food products may contain bacteria that could cause illness if the product is mishandled or cooked improperly. 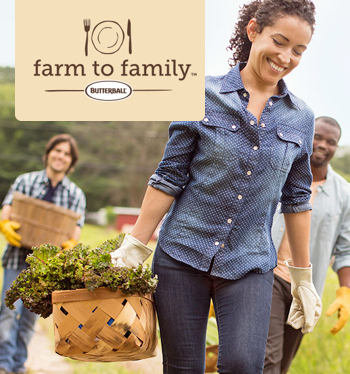 For your protection, follow these safe handling instructions: Keep refrigerated or frozen. Thaw in refrigerator or microwave. Keep raw meat and poultry separate from other foods. Wash working surfaces (including cutting boards), utensils, and hands after touching raw meat or poultry. Cook thoroughly. Keep hot foods hot. Refrigerate leftovers immediately or discard. Storage of Leftovers: Refrigerate leftovers within 2 hours of eating. Use leftovers within 3 days.